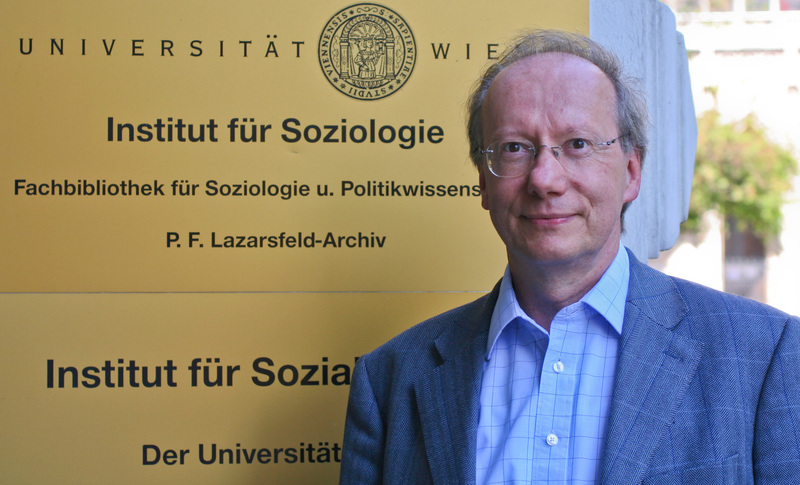 We start 2012 with a stimulating blog post by our president, Rudolf Richter. Besides being the president of this committee, Rudolf is a Professor of sociology at the University of Vienna, Austria. Don’t forget to comment and leave your feedback. Happy New Year! Who belongs to the family? Who is invited to family gatherings like Christmas holidays, New Year celebrations, Chanukah, Thanksgiving, end of Ramadan? This year at our dinner table at home in Vienna we had four languages: German (Austrians speak German, yes – I am always asked on international conferences), English, French and Spanish. This is because of the partners of our daughters and nephews. Nearly at each yearly meeting we have someone at our place we do not know: the cousin of a partner from England, the mother-in-law of another one from Colombia and so on. What is considered to be a family is rather widespread and people belonging to it change from time to time. During our last meeting in Kyoto a colleague introduced an international project and used family and kinship synonymously. On my question why not distinguish between the two concepts, he found no real answer except to say that the project members did not care about those differences – probably to difficult to deal with (I thought: what does that make for a science: using different terms – but it does not matter?). In a PhD course taught last semester we read a paper about the meaning of theory by Gabriel Abend from Northwestern University. He discusses the use of seven different meanings of theory in sociology. The consequence: more or less senseless debates in reviews about an article having a theory or not when authors have different notions of theory – from hypotheses to ideology. I have the same experience when attending international conferences and everyone is speaking of family pretending that we all attach the same meaning to the concept. Don’t we need a reflection on these different meanings? Do we use family as a primitive concept stemming from the background of Parsonian analyses during the fifties in the US and measure different forms from the standpoint of this definition? How do we deal with different concepts? Should we deal with them at all? Or lets stay there: using a vague concept and pretending we share the same meaning? Does it make sense though speaking of a global change of family with a local perspective? Is this – at all – worthwhile considering? The French group around Bruno Latour promoted the so-called Actor-Network Theory. ANT has a flat view on society, looking what actors are doing and how they define their everyday living themselves. It would not matter who sociologists say belong to the family, it would just matter which items, communications, information and traditions – narratives! – constitute a family event –from Los Angeles to Shanghai. Should we promote an ethnographical turn in family sociology? Can it contribute to our knowledge? How?